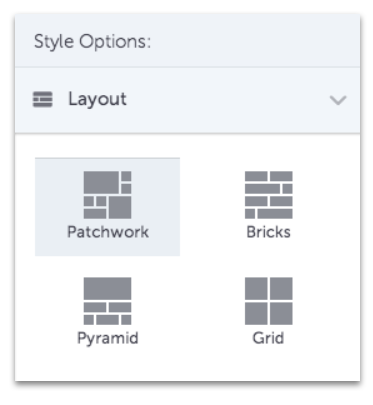 By default, Portfolio Templates have a standard layout and theme. 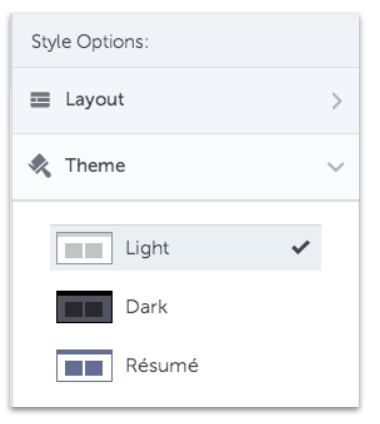 If you choose to, you can edit the layout and theme to your liking. Under the Assignments tab, change your view from Templates to View as Portfolio in the upper right-hand corner of the window. 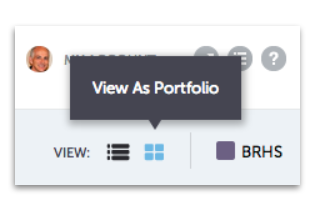 Toggle between Portfolio Templates by clicking the up/down arrows at the top right of the window.